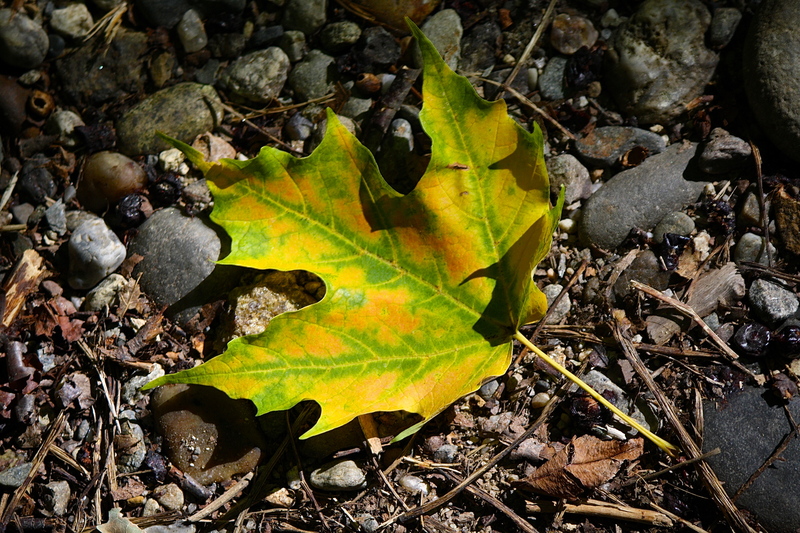 This entry was posted in Field Notes, My Photos and tagged Acer saccharum, autumn, fall, fall foliage, maple leaf, Wordless Wednesday. Bookmark the permalink. Simply beautiful! I love the simplicity of the photo and how it “speaks” volumes about the beauty that is emerging as the season changes. What a beautiful photo Eliza, I love the contrast in colours. Beautiful leaf and surroundings. Yup, Fall is here. I hope it last a really long time! Yes, I’m with you! Thanks, Mary. Yes, that’s true. Each a work of art! How beautiful our world is. Indeed, beautiful in all its details! Beautiful and unique Eliza, change brings new beginnings. I love when the leaves show their veins! The beautiful colors only become visible when the leaf dies, I like the contrast of the yellow veins with what remains of the green. Thanks, Hannah. Isn’t it amazing how each leaf is uniquely colored? Thank you, Kim. It was the gravel background that drew me to photograph the leaf (even though in and of itself it was beautiful). I loved the contrast in the textures and colors. Thanks for noticing! So pretty how the leaves veins are holding onto the last green of the summer. Just like me! 😉 Thanks, Joanne.